Sure, you go to Niagara Falls to watch 225,000 cubic feet of water per second plummet nearly 200 feet into the gorge below. After taking in the scene for 15 minutes…then what? With kids in tow, you need a plan. Luckily, there is plenty to do in Niagara Falls, especially on the Canada side. One of our favorite attractions was Bird Kingdom, home to the world’s largest indoor free-flight aviary. You can easily spend an hour or more here, going through the three floors of exhibit space – themed as the “lost kingdom” home to hundreds of both bird and animal species. You set your own pace in each area, which for us meant less time in the Nocturnal Zone looking at the bats and Brazilian giant cockroaches (eek! 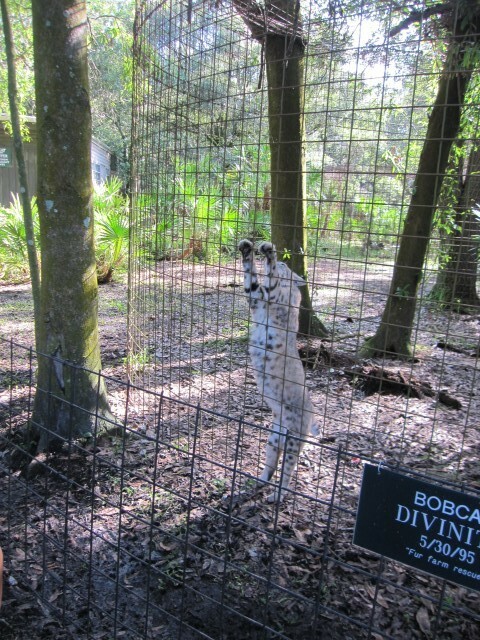 ), and more time in the Explorer’s Base Camp, where you can pet and talk to several animals, like Bearded Dragons and Toucans. Our family is on a nature exploration kick lately, and no one is more surprised than me. It’s never really been our thing. Granted, we stick to “bunny slope” versions of hiking trails, and I don’t go anywhere without a backpack filled with antibacterial wipes and provisions for a potential week in the wild. Earlier this fall we scrambled over a mossy rock embankment to reach the Old Stone Church in Dover Plains, a town park in the Hudson Valley. 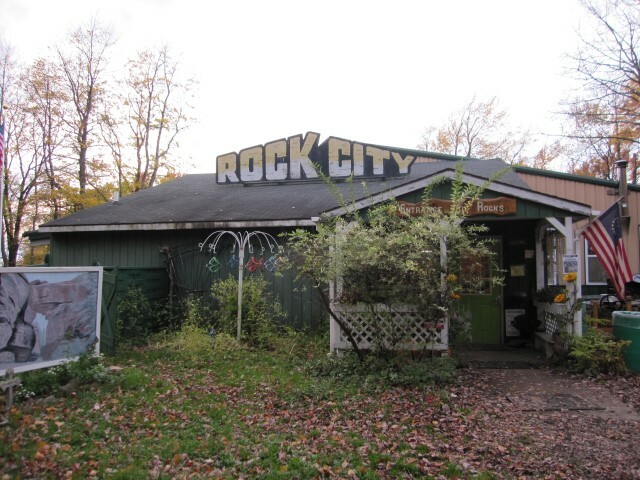 Most recently, we explored Rock City Park, home to the world’s largest exposure of quartz conglomerate, in Olean, New York. It’s a small city in the western part of the state, just north of the Pennsylvania border. And it was a little—okay, a lot—out of the way as we headed toward Niagara Falls, but we got to spend some time with Matt’s cousin, who told us about this “world’s largest.” We couldn’t resist! This place makes you exclaim “wow” on a continuous loop. 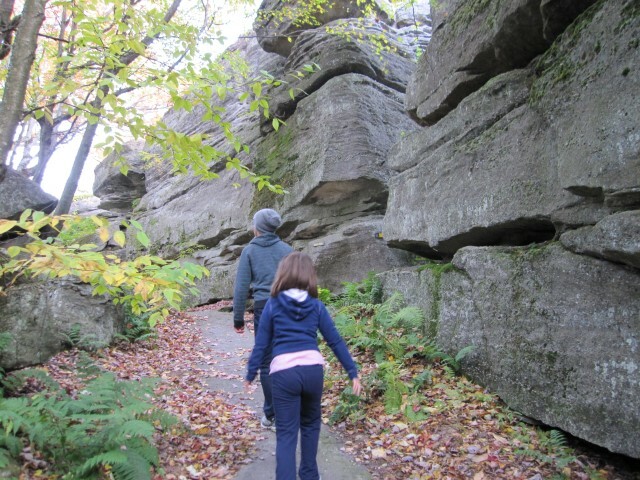 Rock formations, created 320 million years ago, surround and engulf you as you make your way through the 45-minute hiking trail. The rocks represent a combination of shale with exposed quartz veins, non-quartz sediment, and Olean conglomerate. Geologists believe the crevices and fractures formed 280 to 225 million years ago. Your tour starts by descending down stairs into one of these crevices, called “Fat Man’s Squeeze.” There are endearing names like this for most points along the trail, as well as for many of the largest rocks. 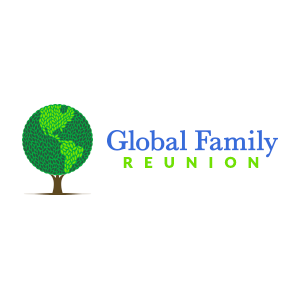 Officially known as the Global Family Reunion, it’s a project spearheaded by best-selling author A.J. Jacobs. His goal is to build a massive family tree of the entire world, with the help of geneaology sites like Geni and WikiTree. Currently, it’s at 77 million people, and being recognized as part of a “revolution” in genealogy, enabled by the internet and its ability to connect us to our communal ancestry. The world’s largest reef, the Great Barrier Reef, borders Australia – a continent that tempts me from the top of my bucket list. The second largest? That would be the Mesoamerican Barrier Reef, a 620-mile long, 11,000-acre protected coral reef system. Conveniently, it runs along the eastern coast of Mexico, specifically the island of Cozumel. Our big trip this summer just so happened to be to Cozumel, so we set our sights on seeing the reef. Cozumel has become one of the world’s most popular scuba diving and snorkeling destinations, thanks to the highly-publicized praise from Jacques Cousteau in the 60’s. We’re not scuba divers, but in Cozumel, that’s not a deal breaker. 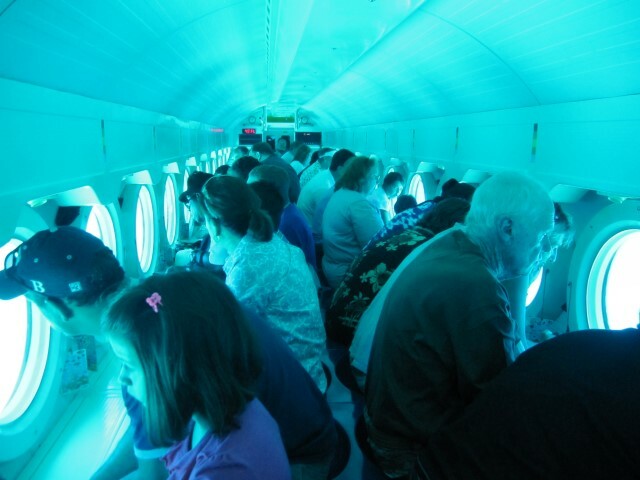 You can see the reef just as well–without having to breathe through a tube–in the Atlantis Submarine. 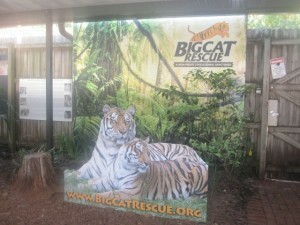 Our adventure began in the gift shop, where we assembled and were given initial instructions. Then we boarded a tender to take us on a ten-minute ride along Cozumel’s west coast to the site where the 65-foot long Atlantis was docked. We were the second stop, joining a group of people who were taking a day excursion off of the cruise ship in port. On board the boat, we heard from our captain in both English and Spanish, along with the requisite marine-themed jokes and music. 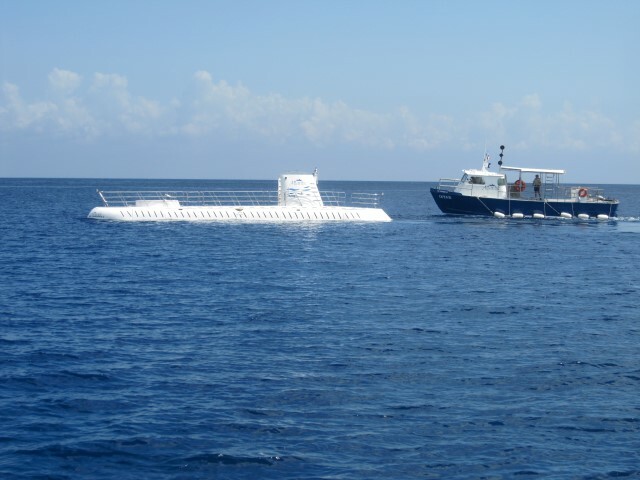 At the dive site, you climb out of the boat and down into the submarine. Inside, the vessel seats 48 people plus three crew members, and it’s completely climate controlled. There was little room to move around, and I could see that people with claustrophobia issues might not love it. Once the hatch was sealed, we began our descent. It was exciting, as the beginning of any new experience is, and the kids were pointing to everything with glee, even seaweed. Within 20 minutes, the pilot had slowly descended 110 feet, which we tracked on the digital counter. 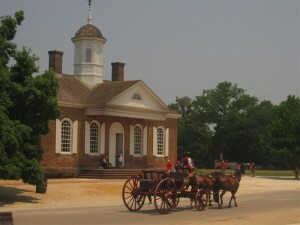 The world’s largest living history museum, Colonial Williamsburg, has lured us to Virginia twice before. We now know two things with certainty. A) There’s not a lot of shade on a hot day. B) Despite that, there is a lot of entertaining and educational fun to be had by all ages. If you’re planning a trip this summer, there are a few highlights I would strongly recommend to maximize your experience, especially if you’re only there for one day. It’s best to have a plan of attack at a place this big — Colonial Williamsburg includes more than 400 restored or reconstructed original buildings, museums, lodging, and restaurants, retail stores and gardens. Start your day at the Visitor Center. 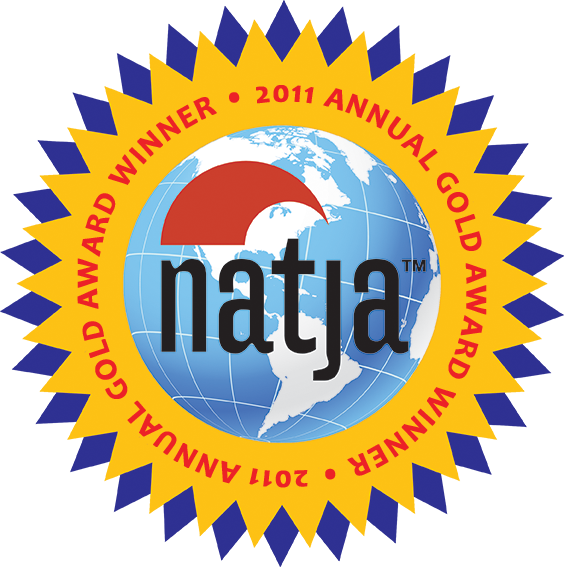 The map includes a weekly program guide, with kid-friendly programs highlighted. If you haven’t done so before your trip, make reservations for on-site meals, and purchase additional passes for special programs or tours not included in the general pass. 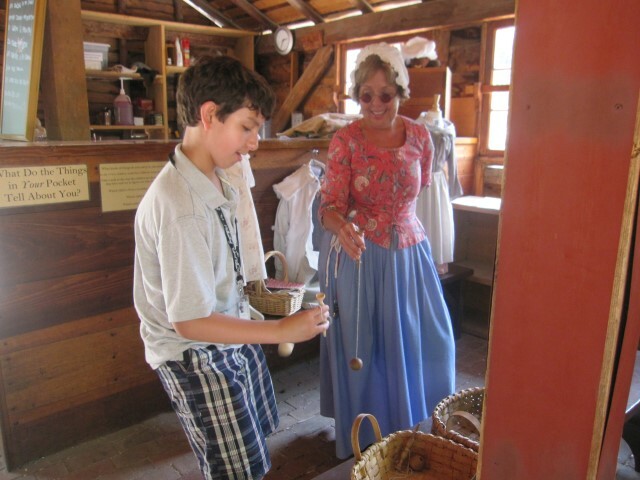 You can even rent costumes for everyone in your family to wear so you can blend in with the colonists. Walking through the streets is partly about watching, and also about participating. You can stop by the blacksmith shop or the bindery to observe these artisans in their trades, march along with the Fife and Drum crew, or stop into the Courthouse to hear a case before the judge. Make sure you hit the Kids Corner at the Gateway, where they taught our kids games like Whirligig. A lot tougher than it looks! You can find a lot of superlative stuff inside the 32 Ripley’s Believe it or Not museums around the world; each location has more than 300 exhibits and artifacts. We’ve never been inside one of these “odditoriums” before, but we finally took the plunge last week while in Ocean City, Maryland. We discovered that this beachy destination is very seasonal, so there wasn’t a lot to do yet in mid-April. The 2.25-mile Boardwalk was hopping, however, and Ripley’s is in a prime location at the southern end. Robert Ripley, a cartoonist and adventurer, traveled to 201 countries over the course of his life, and collected a vast, eclectic collection of oddities. Many of these (originals and reproductions) are on display here, alongside newer pieces collected in recent decades. I think it’s safe to say that this is the only place you’ll ever see an authentic concrete section of the Berlin Wall displayed near a model oil rig constructed of match sticks, and a mural of Rihanna depicted in Lite Bright pegs. A whole lot of weird. We liked it! 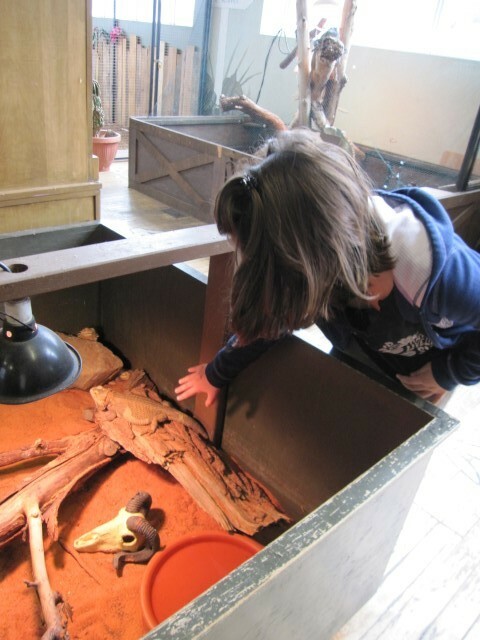 As you walk through different rooms, you’ll find the exhibits fit into themes, like animals, space, and human extremes. Of course, we had to take a photo with a statue of Robert Wadlow, the world’s tallest man. 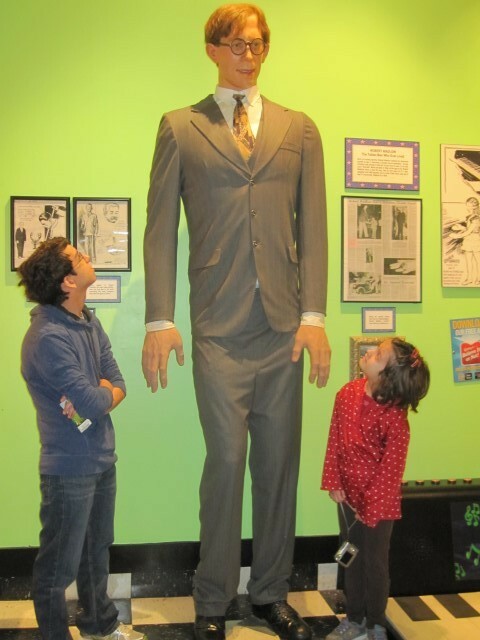 Wadlow (1918-1940) reached a height of 8’, 11”, and weighed 440 lbs. His arm span was 9½ feet! Only 17 people have been recorded in medical history to reach the height of eight feet. 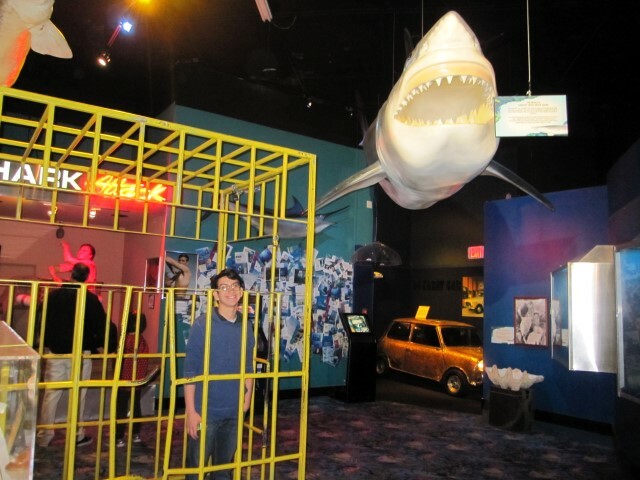 In another room, a replica of the world’s largest Great White Shark ever caught with a rod and reel was hanging from the ceiling, near an iron cage you could step into. It’s 16’, 8” long, 3,427 lbs, and was caught off the shores of Montauk, New York in 1986 by Donnie Braddick. Even though there’s still some snow on the ground, it’s officially spring, and I’m hopeful that I’ll be able to turn off the heat soon. This photo has been my screensaver for the past few months, and it has gotten me through. 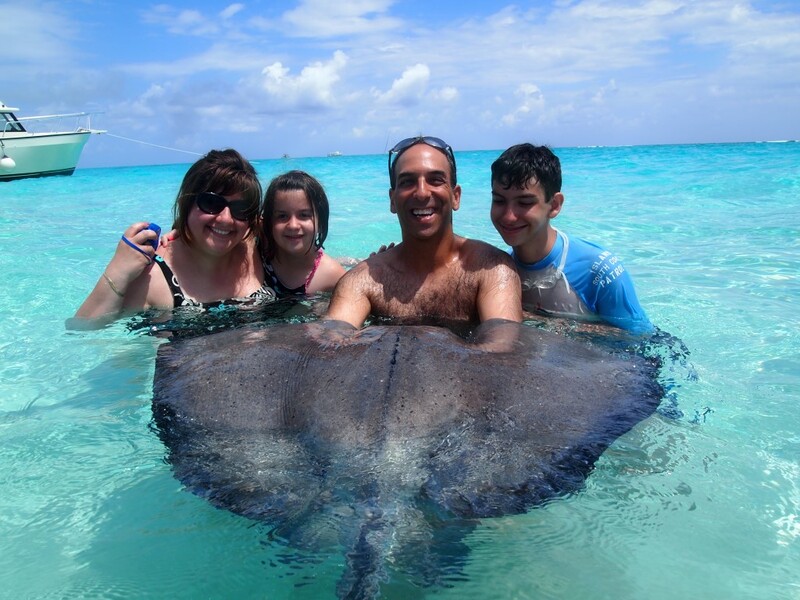 What you’re looking at is a warm and happy family posing with a stingray off the coast of Grand Cayman in the Cayman Islands. All that gorgeous blue is the perfect antidote to all the icy white I see from my window. We were on the north side of the island, in the North Sound, one of the world’s largest and shallowest salt water lagoons. The Sound is also home to Stingray City, an offshore reef where friendly sting rays congregate. They’ve been accustomed to humans stopping by all day long in cruisers like these. Okay, so we were committed to getting there. And then The Boy sprained his ankle, and was outfitted with a boot. My eye began to twitch. But hey, flexibility is what family travel is all about, so we rolled with it. We were snowed in at the Hampton Inn for an entire afternoon. We couldn’t do much walking. But the important thing was WE GOT OUT of town, winter be damned. And discovered some great BIG attractions in Rhode Island’s capital city. 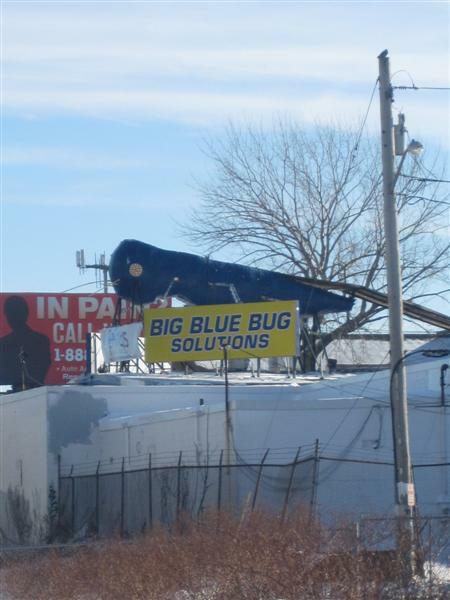 Because we love roadside attractions, our first photo op stop was “Nibbles Woodaway,” also known as the Big Blue Bug. At two tons, he’s the world’s largest termite, and has sat on top of an extermination business building since 1980. He’s nine feet tall and 58 feet long, and is occasionally dressed in smart seasonal accessories. You didn’t think I’d let the whole month of January go by without posting something BIG? Well, up until a few hours ago, I did. Work (you know, all the other writing I do) has been crazy-in-a-good-way this month. But I can’t ignore the fact that the winter doldrums have set in, and so I want to offer a suggestion to anyone looking for a fun day trip or weekend getaway: Hershey, PA. True, the Hersheypark amusement park is still closed for the season, but there are other year-round attractions in town. 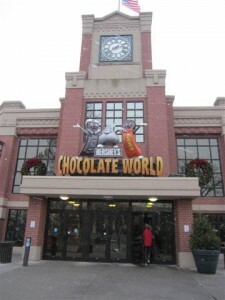 My favorite of which is Chocolate World, home to the world’s largest selection of Herhsey’s products. First, there are the attractions, like the Great American Chocolate Tour, a free ride with a free sample at the end. I can honestly say that I still have memories of this ride from a trip I took there as a five-year old. Hey, it’s the enduring power of chocolate. Of course, it’s been updated, and stars three singing mechanical dairy cows. That “Hershey’s Milk Chocolate” jingle will stick in your brain for days.